It is our honor to welcome you to GSMUN XVIII and the World Health Organization. This weekend you will discuss topics as diverse as Zoonotic Diseases and Infant Mortality tied together by the common thread of having fundamentally central effects on the world’s well-being for years to come. We are looking forward to your passionate debate, incisive comments, and fresh insight into these issues. We hope you are as ready as we are! As delegates in the World Health Organization, you have an obligation to come prepared to this Committee having completed research and prepared thoroughly for debate. Please make sure to read the background guide to gleam preliminary knowledge into the topics. A key part of preparing for GSMUN is writing your position paper. Guidelines on how to write a position paper can be found at gsmun.net/delegateresources. The papers we expect should be at least 500 words, double-spaced, in 12-point Times New Roman font, and with Chicago-style footnotes and a bibliography. Please know that GSMUN follows the Maggie Walker Honor Code and that plagiarism will result in immediate disqualification from the conference. Please either email your paper to us before the conference or bring it for the first committee session. It is a good idea to have your paper at all times in order to reference your country’s beliefs as well as your ideas. We expect nothing but the best from all. Feel free to contact either one of us with concerns, comments, or questions. We look forward to seeing you in March! Ishani Pendse is a junior at Maggie Walker. She first became involved in Model UN in the eighth grade when she took an International Studies class. She has represented a variety of countries over the years including Bulgaria and North Korea. In matters of other clubs, she serves as Co-Treasurer of the Spanish Club. She loves tennis, traveling, baking/eating, and volunteering at the library and is very excited to be a chair for the World Health Organization for GSMUN. 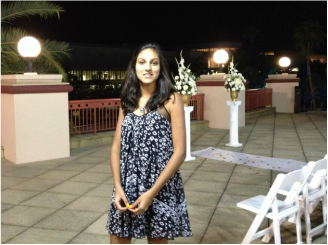 Nivi is a senior at Maggie Walker who has been involved in Model UN since her freshman year. She has attended conferences at William & Mary, UVA, and TJ SciTech. Last year, Nivi chaired the Partition of India Talks. Her interests include playing on the Maggie Walker Girls’ Tennis Team being a part of a variety of clubs. When she’s not involved in Model UN, Nivi likes to spend her time reading, hanging out with friends, and watching I Love Lucy repeats.